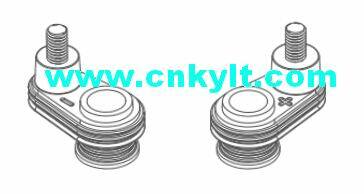 Depends on different design and usage of lead acid battery, the POSITIVE & NEGATIVE Lead (PB) Battery Terminals and Bushings also have different structures and sizes. 1. Some battery factories make the POSITIVE & NEGATIVE terminals and bushings are same size. In design lead injection moulds, can make 2cavites or 4cavites as same. Don't need to differentiate them. Example 1: This lead bushings Negative and Positive sizes are same. And PB bushing structure allowed 4cavities in one mould. Example 2: This lead terminals Negative and Positive sizes are same. And PB terminals structure allowed 4cavities in one mould. Example 3: This lead terminals Negative and Positive sizes are same. And PB terminals structure allowed 2cavities in one mould. 2. And some battery factories make the POSITIVE & NEGATIVE terminals and bushings are same size, but in lead parts body marked "+""-"(most in PB terminal). So, In design lead injection moulds,we can make "+""-" parts in one mould,as per their structure to make 2cavites or 4cavites. That need workers to separate positive and negative terminals mannually. So, if not consider mould cost, we also suggest make two moulds, one for positive, another for negative. That is more easy and fast in mass production. 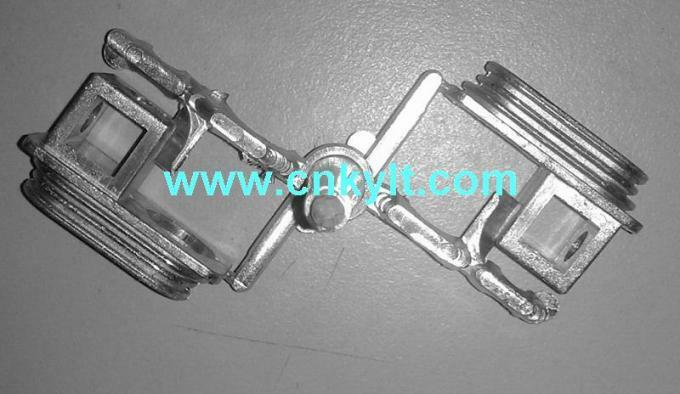 Example 4: This lead terminals Negative and Positive with "+""-" mark, Clients require make them in one mould, that means one cavity for positive, one for negative. 3. Lead (PB) POSITIVE & NEGATIVE with bolt terminals, and in lead parts body marked "+""-". 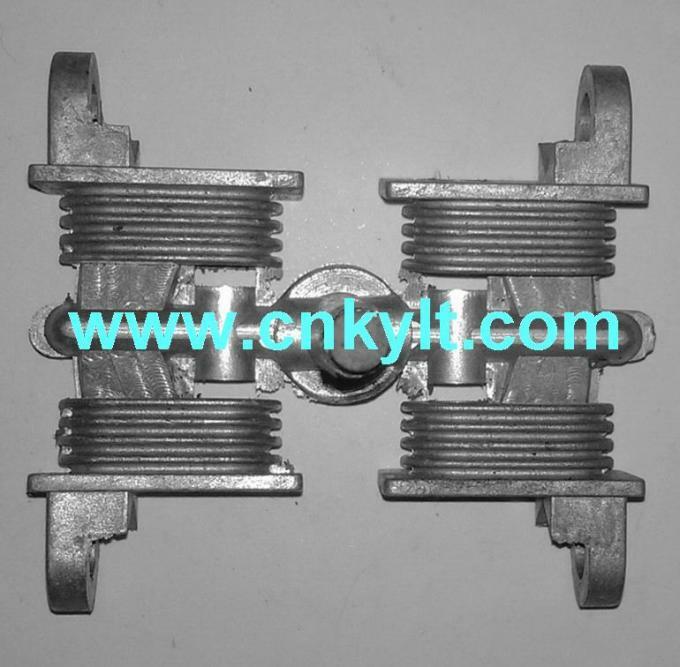 For this bolt terminals, most be designed as 2cavites in one mould. Mark "+""-" parts in one mould. That also need workers to separate positive and negative terminals mannually. 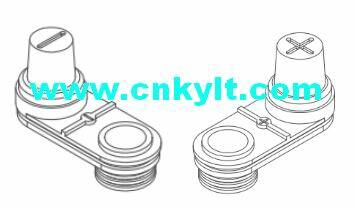 Same as above lead battery terminal expamle, if not consider mould cost, we also suggest make two moulds, one for positive, another for negative. That is more easy and fast in mass production. 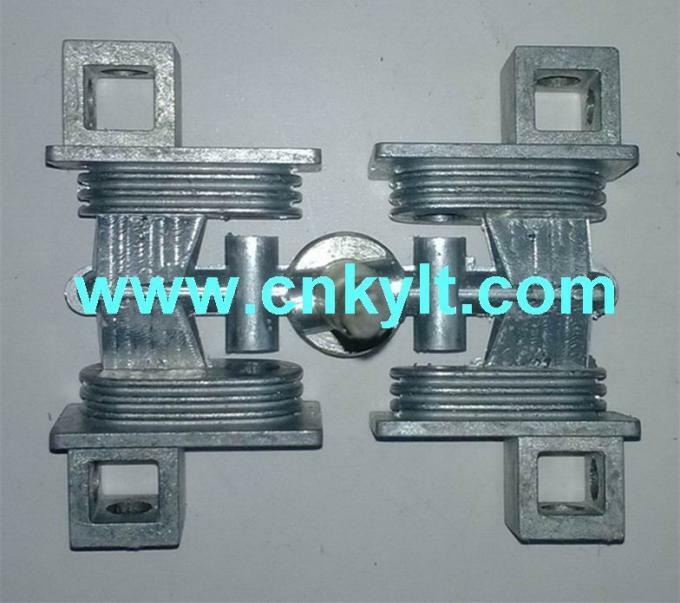 Example 5: This lead battery bolt terminals Negative and Positive with "+""-" mark, Clients require make them in one mould, that means one cavity for positive, one for negative. 4. Most time, in lead (pb) battery bushings have no POSITIVE"+" & NEGATIVE"-" marks. If lead acid battery positvie and negative bushings sizes are different. We strongly suggest make two moulds, one for negative, one for postive. 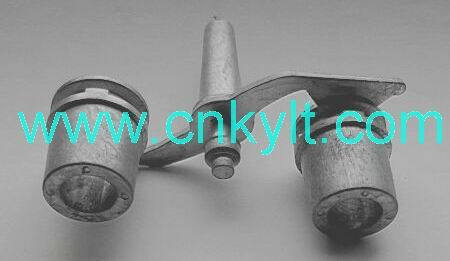 Because workers will be very difficult to separate positive and negative bushings by eyes. Example 6: Following one bushings for 2 cavites. Example 7: Following some different bushings for reference.